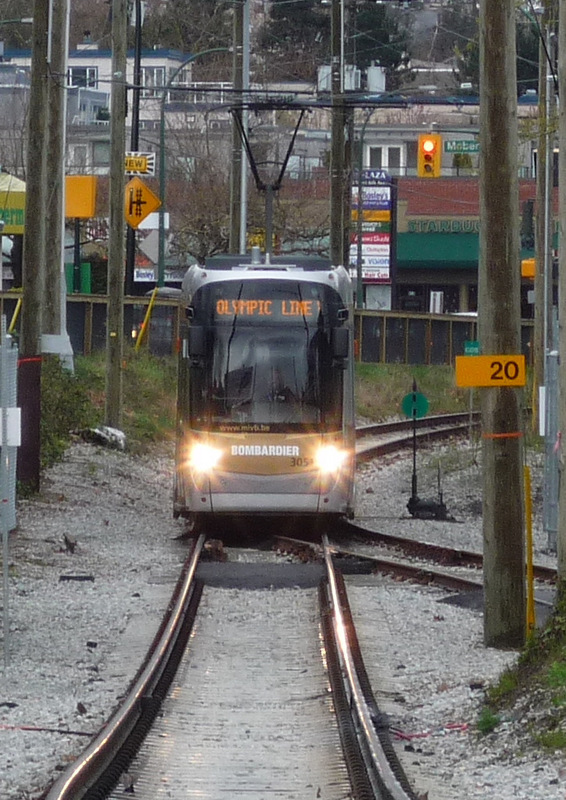 March 21 was the last day for the Olympic line street. When Transport Action BC set up a booth at the March 14 train show in Burnaby, the streetcar was the most commented on topic. Everybody had positive things to say about it. We hope a way can be found for this service to continue. There will be more info about the streetcar in the next issue of the Western Newsletter which is coming out soon. To get a copy of newsletter, join Transport Action. We have a special introductory rate of $20 per year. Details are on our website: www.transport-action.ca There is a link to our BC organisation. The next issue of the national newsletter Transport Action will have an article comparing the Canada Line and the LRT in Edmonton, in particular P3 and in house construction. Many articles are appearing in the media regarding the streetcar. Here are a few.